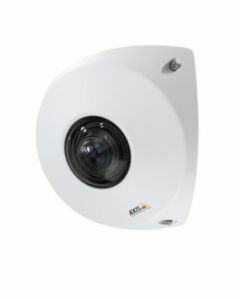 AXIS P91 Network Cameras are indoor, corner-mounted cameras specifically designed to provide the best field of view and ensure no area is left uncovered. These compact and discreet cameras deliver up to 3 MP resolution and are available in an elegant, brushed steel model (AXIS P9106-V Brushed Steel) and a ligature-resistant (also known as anti-ligature), matte white model (AXIS P9106-V White). Installation is quick and easy with out-of-the-box optimized corner-to-corner coverage to save time and costs. Even in scenes with strong backlight, the combination of WDR and Zipstream means all the important details can be captured while lowering bandwidth and storage requirements by 50% or more.